Uprooted is the story of Agnieszka – she is a young woman who lives in a small village with her family and her best friend the beautiful and enigmatic Kasia but there is a dark side to Agnieszka’s world. Her village is on the edge of a dark, magical wood, a wood that destroys and kills everything it touches. Agnieszka and her people are protected from the wood by the Dragon. A fearsome wizard employed by the King to live in a tower on the edge of the wood and protect the people with magic but the Dragons protection comes with a price. Every ten years he will come to the village and take a girl to go and live with him in the tower. Ten years he will keep her and after that the girls are let go, often they try to go back to live with their families but they can’t. The girls are much changed and each girl has left the village never to return. I really enjoyed Uprooted it is a slow paced, fairy tale which felt to me to have Russian influences. Agnieszka and the Dragon have a really interesting love/hate (mostly love…confusion,sometimes disgust <3) relationship and something I really enjoyed about this book was their slow burning romance . It wasn’t to intense, or to in your face it was just there, sadly though I felt the relationship (for me at least) was never quite fore-filled and was disappointed by their lack of conclusion. The story and character development in Uprooted is very well done and I really enjoyed Noami’s writing style. Her style is quite slow but as I read on I could really feel the story building around her words and as I turned each page was desperate for a conclusion. Over all I would give this a Paint and Butterflies rating of 4/5 stars I would highly recommend for anyone who enjoys a fairy-tale with Russian influences, Wizards and Witches and a Dragon with a serious attitude problem! This entry was posted in Book review, Uncategorized and tagged book blogger, book review, book reviews, books, fairy tale, fantasy, Fantasy Fiction, fiction, Noami Novik, standalone, Uprooted, YA, young adult on January 30, 2016 by Chloe. I am currently reading two books at the moment, this is unusual for me I’m normally a one book at a time type of girl but I am currently taking part in Our Shared Shelf which if you don’t know is Emma Watson’s feminist book club. The book this month is My Life on the Road by Gloria Steinem, I will be reviewing this at the end of January. I have also just started Gone Girl by Gillian Flynn I have had a copy of this book for a while but tend to stay away from Crime/Mystery books until I am really in the mood. I have managed to go unspoiled so far so needless to say no spoilers please! I recently finished reading Uprooted by Noami Novik I really enjoyed this Russian fairy-tale esk stand alone, but I don’t want to go into this to deeply as I have a full review coming SOON! I don’t plan my reading to much I tend to go with my mood but I am hoping to start Howl and Other Poems by Allan Ginsberg next. I hope you enjoyed by WWW Wednesday happy reading everyone! This entry was posted in Memes, Uncategorized and tagged book blogger, Book Memes, books, Gone Girl, Howl and other Poems, Memes, My Life on the Road, Uprooted, WWW Wednesday on January 20, 2016 by Chloe. Bath and Body Works Tag! 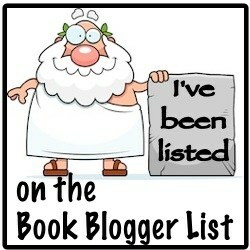 Thanks to A Little Bookish a Little A Writerly for the Tag! I haven’t done a tag in a while so lets just jump right in. Me Before You is a you is a contemporary romance novel that follows Lou Clarke a young woman who has lost her way in the world and is struggling to find her path. When she looses her job and is desperate for money she becomes a carer for quadriplegic man Will. Will is a former international business man and before his accident loved life and lived it to the max. Will and Lou come together in a way which is both funny and heart breaking I would recommend this book to everyone who has a heart beating in their chest. To read my original review click here and to read my update on the upcoming movie click here. You Had Me at Hello is probably my favourite contemporary romance novel. The book is set in both the past and the present following two best friends who meet at university and as the reader we know there is an event, a falling out that separates them at the end of their third year. Mean while in the present day the two friends bump into each other when one of them moves back to the country after emigrating to America with his now wife. Their lives re-connect and old feelings and resentments come back to the surface once more. I have never wanted two characters to get together more than these two knowing their back story by reading about their time at university. I was so attached the characters and really cared about what happened to them. A real A* contemparary. Reading this book is like reading about an old friend or a memory, or returning home after a long trip. It’s so familiar but I’ll still read it forever. I’m currently taking part in the Problem of Susan challenge to read more about it click here. Outlander is book 1 in this epic time travel adventure series where married, 1945 nurse travels back in time and meets Highlander Jamie Fraser… If you haven’t read Outlander yet or seen the show Jamie and Claire are perfect for you shippers out there. On the Island is about teacher in her early thirties who is employed to tutor a student who has been out of school with cancer. The boy who is now in remission, and teacher are to go away for the summer and catch him up for school for his senior year. Well, the plane crashes and everyone dies but teacher and pupil. For years they are stuck on a desert island together until one day boy becomes a man. This book deals with some uncomfortable themes and you think the teacher student relationship is going to be awkward and hard to read about. This is one of my favourite contemporaries, I would definitely recommend reading watching the relationship of these characters develop and grow over the years is really interesting and heartbreaking. It’s always hard as a reader to say THIS is my favourite book, I rate this above all the others and it is true when asked this question I could give you a list as long as your arm of my favourite books. But if I have to say, my favourite book is probably Summer in February by Jonathan Smith. It is the true story of a artist colony that existed in the 1930’s. The colony had members such as Laura and Harold Knight, and A.J Munnings who painted the picture of the cover of the book. The focus of the book is the woman in picture a young woman called Florence Carter-Wood a painter who came to the colony with her brother. She was the first wife of A.J Munnings and a subject he found hard to talk of in later life. The story is a love story, between Florance, A.J and A.J’s best friend Captain Gilbert Evans. It ‘s also a story of art, passion and a time when war was looming in the shadow of the sun. Winter’s Tale is a magical realism novel set in New York the novel is a love letter too New York as well as being a really beautiful story. With the teaser trailer for Fantastic Beasts and Where to Find Them dropping a couple of days ago and Harry Potter Mania rearing its head again – I don’t think I could do this tag without mention the Harry Potter Universe. I got this book as a birthday present and as my birthday was yesterday I haven’t had time to read it yet! The cover is stunning, it is gold embossed and gorgeous. From what I know Uprooted is a stand alone, fairy tale esk novel about dragons. Can’t wait to get too it! Hope you enjoyed this Tag. Today I am tagging some of my new followers thanks for the follows guys. This entry was posted in Book Tag, Uncategorized and tagged After You, book blogger, book review, books, C.S, Fantastic Beasts and where to find them, fiction, Harry Potter, Jamie and Claire, me before you, On the island, Outlander, Summer in February, the lion witch and the wardrobe, Uprooted, Winter's Tale, You had me at hello on December 17, 2015 by Chloe.